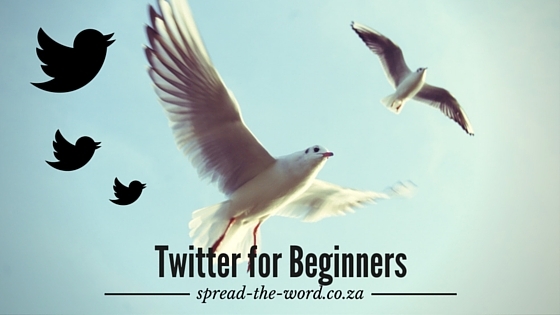 If you are new to Twitter or if it still doesn’t make sense to you, here are some tips to get you started. Firstly, you may ask whether or not it is important to even have a Twitter account. With all the social networking options out there, it can be a little overwhelming. Or you may wonder how sending out a few short messages every day can help you to sell books. Actually, Twitter is a particularly good place for authors. Not only will you meet other writers and people in the industry such as editors, publishers, agents and so on. Twitter is also where all your potential readers hang out. And one of the great things about it is that you can connect with just about anyone, including celebrities. As I’ve mentioned before, marketing and promotion is all about connecting and spreading ideas. Social media is one of the primary ways for authors or just about any entrepreneur or business to connect online and spread the word. 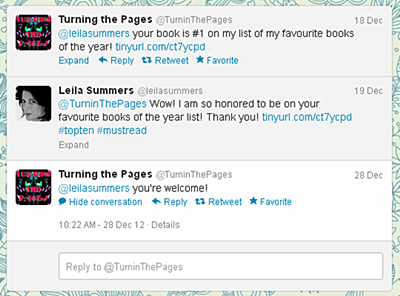 For me, the top three useful social media sites for authors are Goodreads, Facebook and Twitter. There are, of course, many others which we will discuss in future, but for now, let’s take a closer look at Twitter. Twitter can be viewed as having short conversations, just as you would if you were passing a friend outside your kid’s school, or talking to a stranger in line at a supermarket. And that conversation could lead to a connection which may result in various opportunities. Twitter is a place to share information, ask questions, reply to queries, pass on interesting tips, mention helpful links, have conversations and basically interact and make new connections. Once you understand how it works, you can build valuable relationships with people in your areas of interest and as a result share information (spread the word). The first step is to open a Twitter account. Choose your username (handle) wisely. Try not to make it too long because it counts towards the 140 character limit when someone includes you in one of their tweets. Your username appears in your profile URL and is used for logging in, @replies, and direct messages. Your username (handle) is not the same as your name. Your name (usually your real name or business name) is displayed on your profile page and used to identify you to friends and followers. 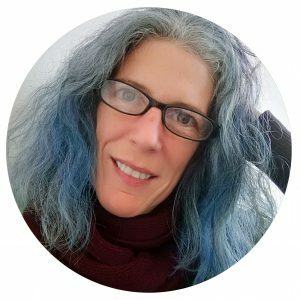 Upload a profile photo and add some information about yourself including your author website address. There are other options such as uploading a header and background that you can play around with later. Start out by finding and following others. Following someone means you’ve chosen to subscribe to their Twitter updates which will appear on your Twitter home page. A good way to find people to follow is to look at who other authors are following. You can also search for people in your area of expertise, interests, and genre. You will find that many people you follow will follow you in return. Don’t be tempted to follow everyone and anyone just to gain as many followers as you can though. The idea is to connect with like-minded people and ultimately build relationships and reach potential readers. Rather spend some time finding and following people who have similar interests or who may be potential connections. A tweet is a short message of 140 characters or less. You can use a link shortener like bitly to shorten links in tweets. Anyone can see your tweets. Start tweeting regularly, preferably every day, to be effective. To get tweet ideas, look at what other authors are tweeting about. Create a document where you can stock up on ideas to help get you started. Remember to always be authentic. Finding your voice and niche will take some time. In my next blog post, I share some ideas on finding your own unique ‘chirp’ and scheduling tweets ahead of time. Simply tweeting your thoughts is not enough. That is like sending them out into cyber space in the hopes that someone might see them. At this stage, they probably won’t! There are better ways to engage with people around your interests. Others are more likely to find your messages if they are retweets or @replies. The confusing part for me initially was that my tweets to another user appeared only on my own page, and not on theirs! I didn’t understand how these conversations took place. In fact, users are notified on the @ Connect page when @mentioned. To see who has mentioned, interacted with you, replied or retweeted you on Twitter, visit the @ Connect page on the top menu. That is where you will be able to view all your conversations and you can reply directly by clicking the reply button. Users created #WW as shorthand for “WriterWednesday,” a weekly tradition which was originally intended as a way to give shout-out to writers, suggest authors to follow, or to share writing tips. It now also covers anything else to do with writers or writing too. You’ll see this on Wednesdays and find it is a way to connect with other writers. Don’t over-tag and only use relevant hashtags. Here’s an article on helpful hashtags for authors. Tweeting regularly, retweeting the right people, using #hashtags correctly, @connecting, and sharing interesting articles or inspirational quotes are a good start. Think of Twitter as a way to expand your network, connect with the right people, support others, build relationships, provide value, increase exposure, share your message and ultimately spread the word about your book. With 500 million users, the opportunities are limitless!